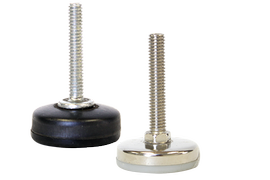 Spring and Neoprene Elastomer Hanger. 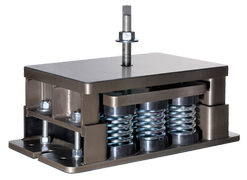 All models with HC-S-E and HD-S-E housing are heavy duty spring vibration isolation hangers and incorporate a new design of the steel housing, with the base's two sides bent down, which considerably increases the rigidity of the housing's bottom plate under load. 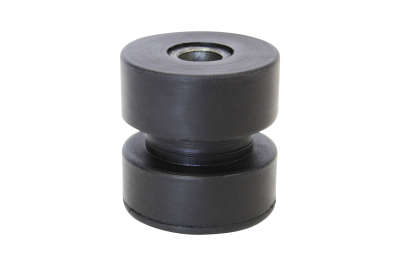 These hangers have three elastomer parts. 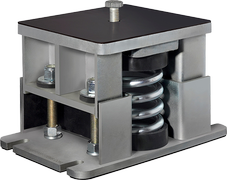 The top and bottom spring's rubber cups have vulcanized steel washers for even load distribution. 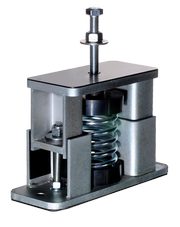 The bottom cup has a locator rubber ring to center the cup and spring in the hanger's housing. 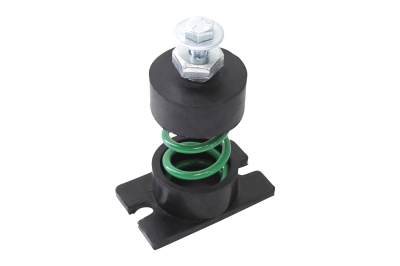 The third part is an elastomer element with the rubber ring to center the element in the top opening in the housing's frame. 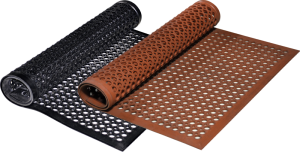 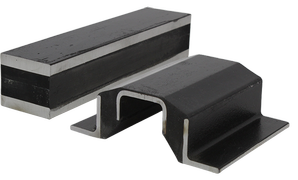 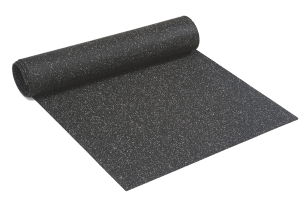 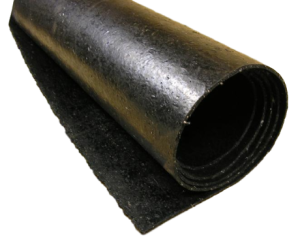 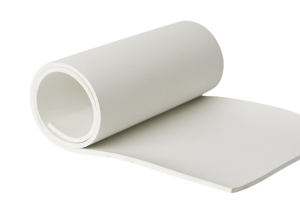 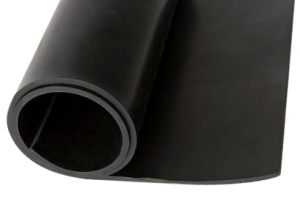 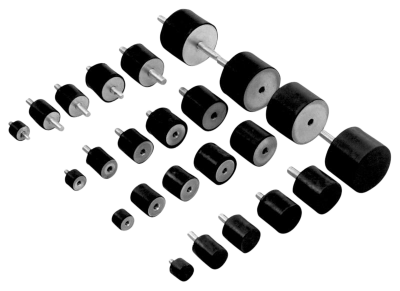 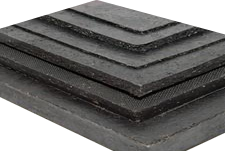 Depending on the load, different sizes and levels of hardness of the elements are recommended and available. 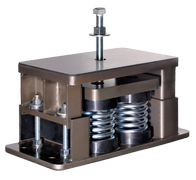 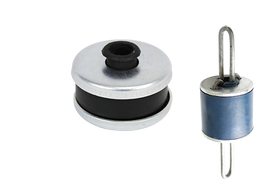 Spring vibration isolators/hangers for suspended equipment are used for fans, A/C, pipes, ducts, and other hanging structures and building services, as well as applications with critical requirements for vibration/shock isolation and noise reduction. 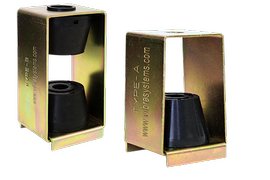 New base plate design of the steel housing with two bent sides considerably increases rigidity of the frame. 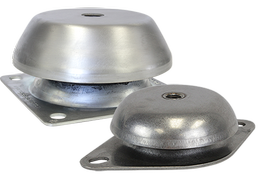 Housing is yellow zinc plated for better corrosion resistance. 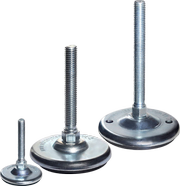 All hanger's elements are safe at solid load. 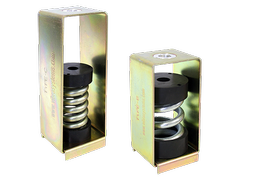 Springs are color-coded and easily replaceable. 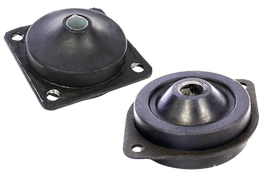 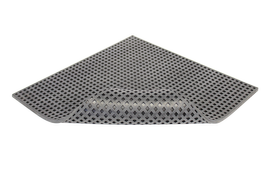 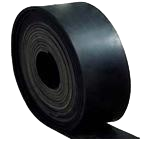 Top and bottom elastomer cups and elements have embedded steel washer for uniform load distribution. 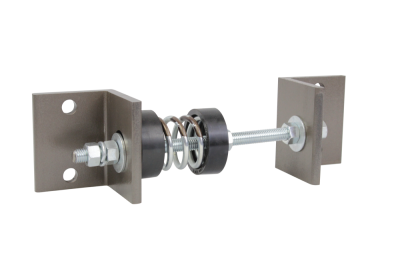 Standard design allows angular hanger misalignment of 15�. 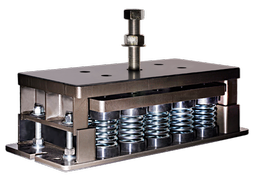 All springs at maximum load have 50% additional travel to solid load. 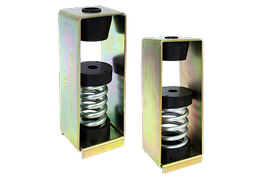 Springs have additional travel to solid beyond rated load. 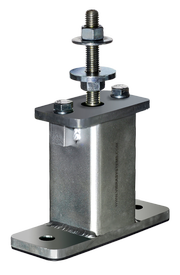 Hanger can withstand short-term impact forces.